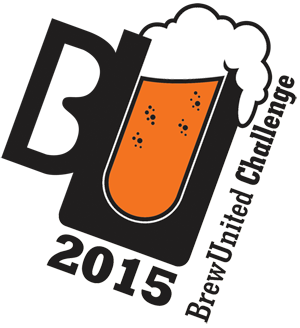 Welcome to the 2015 BrewUnited Challenge! BrewUnited is a new online community dedicated to collaboration and helping all levels of brewers to create great beer. We are an eclectic group of home brewers from across the globe with varied experience and brewing styles who come together to further our hobby. The 2015 BrewUnited Challenge (a BJCP officially sanctioned competition) is not for the timid. Can you create a recipe with very limited ingredients? Roast your own malts? Boil down sweet wort to get a syrup and add color? What extremes are you willing to take? Will go to heroic lengths? If so... this is the competition for you. You will need to brew specifically for this competition, as the ingredients are limited. Each Division (Hoppy, Balanced, and Malty) will have 5 BJCP styles associated with it - many of which are unaligned with the ingredients. With such limitations, you will need to reach deep into your creative bag of tricks to achieve the best possible result and style match. You are allowed only one entry per BJCP style, up to three total beers submitted. As each Division is judged in a different physical location, you may need to ship your entries to different parts of the country. While the focus of this competition is style-oriented, the secondary purpose is to provide the best possible feedback to the brewer. The judges will have both the style guidelines and the ingredients list in front of them. Your beer will be judged according to the BJCP style guide. This puts the responsibility on you, the brewer - submit your beer where you think it will score the best! Oh... did we mention that fact that there are almost $4700 worth of prizes available? Each entry must use the ingredients outlined below, and only those ingredients. Brewers may use the provided malt extract equivalents, but must still steep the specialty grain requirements. Fining agents and water treatment elements (i.e. brewing salts and/or acid) are permitted, but no brewer may use any other malt, fermentable, additional sugar*, or adjunct. Each of the four listed malts (or extract equivalents) must be used at a minimum of 1% of your overall grist, and together comprise 100% of your grist. * - one exception to the "no sugar" rule: brewers who choose to naturally carbonate their beers may do so by use of corn or cane (table) sugar at bottling time. Aside from priming sugar purposes, no simple sugars may be used. You must select exactly two of the hop varietals listed, but each hop must be used at a minimum of 10% of your hop bill (by weight). Yeast selection is entirely up to the brewer. To meet many of the BJCP styles, you may be required to take extreme measures to modify some of the ingredients through roasting, toasting, extended boils, reducing runnings to create syrup, cold steeping, etc. The techniques used are entirely up to the brewer. Remember that the goal is to make the best possible match to a given style, as well as to create the best possible beer. Be creative, be resourceful, and amaze us! There will be three Divisions - Hoppy, Balanced, and Malty beers, each of which will be judged at a distinct geographic location. Each Division contains five specific BJCP styles. Any yeast of your choice; dry or liquid, commercial or wild. Be careful! While it is legal to brew an all grain recipe, but decide to add the approved extract (say, you undershot your intended gravity), please be sure to take this into account. If, for example, you are brewing a light colored beer, and had planned a recipe to include only 1% of the cystal 60L, but then added pilsen extract to fix a low gravity issue - your recipe would then be illegal, as the crystal would then fall below 1% of your grist. For the purposes of this competition, we are using the rule that "pilsner is pilsner, crystal is crystal". In other words, any pilsner malt is legal, be it American, German, Belgian, floor malted, etc. Likewise, any crystal malt of ~60L is acceptable, be it American, British, German, etc. Each Division - Malty, Balanced, and Hoppy - will be capped at one hundred entries, for a total of three hundred entries for the competition. If early response is overwhelming, we may consider adding a limited amount of additional entries per Division. However, there is no guarantee that additional entries will be added in any situation. This decision will be solely up to the discretion of the competition director and the judge coordinators. Planning to enter more than one beer? You are eligible for recognition as the first BrewUnited Homebrew Heroes. This section of the competition recognizes individual brewers willing to take on the challenging mission of creating multiple beer styles from limited ingredients, understanding that these ingredients may not be the best fit for a given style. BrewUnited Homebrew Hero is a special, lifetime accomplishment. A maximum of three Heroes will be awarded each year during this competition. A BrewUnited Homebrew Hero page will contain a photo and bio of the brewer, as well as links to their winning recipes and notes. A special prize package, medal, and maybe even a cape will be award to each Hero! Once a brewer earns this designation, they may not win it again (see "lifetime achievement"). Note that a minimum score threshold will be applied to determine eligibility for this award. Team entries are not eligible for the individual Hero awards; however, BrewUnited reserves the right to provide special recognition to brewing teams in the future. Any brewer, whether amateur or professional, may enter this competiton. However, all beers MUST be brewed on home brewing equipment. The use of professional equipment or facilities - even by an amateur brewer - is grounds for disqualification. You may enter up to three beers in the competition, though you may only enter one beer in a given style. For instance, you may enter an American Pale Ale, an English IPA, and an American IPA - but you may not enter two English IPAs. Team brews are permitted. However, participation in a team brew consumes one of the "slots" you are permitted to use. In no case may your name be associated with more than three beers entered into this competition. For example, if Bob and Jim collaborate on a beer, they may each enter two more beers on their own, or they may participate in further team brews (with each other or other people), but may total only three beers to their name. Any attempt to circumvent this individual entry cap (three beers per person) may result in the disqualification of all of your entries. Brewers will be required to register and pay for entries via the BrewUnited.com website, using an active BrewUnited community account. If you do not already have an account, you may register for one with your competition registration (there is no charge for an account). Confirmation and periodic reminder emails will be sent to the associated email address for your account, though our strict "no spam" policy will be enforced. Entries must be paid for in full via Paypal account or credit card (with Paypal acting as the payment processor) before they can be considered to be active. Since we have an entry cap, any entries will potentially remove the opportunity for others to compete; as a result, entry fees are nonrefundable. For each submission, the brewer must include a complete recipe and detailed process notes, certifying their complete compliance to the rules. A blank, printable recipe worksheet is provided for recipe creation and brew day notes. Please take note of any special techniques or processes used. This worksheet will ensure you can accurately transcribe the recipe and notes into the website. A recipe form and process notes MUST be completed for each entry before shipping and entry labels can be printed. If we receive beer with missing recipe or process data, that beer will be ruled ineligible to place, advance, or be considered for prizes. By entering, you grant BrewUnited the express right to publish your recipe, process notes, etc. You will receive full credit for all such information, but you agree to allow us to post it here on the website. Three twelve ounce bottles of each submission must be supplied and shipped to the appropriate qualified Division. Shipping addresses will be provided no later than September 1st, 2015. Each bottle should be labeled only with the printed competition label, which must be attached to the bottle with a rubber band. Any other markings or labels on the bottle or cap may result in disqualification. Bottle geometry (longnecks, shorties, etc) is up to the brewer, as long as the bottles are twelve U.S. ounces in volume. It is strongly suggested that brewers use brown or amber bottles. Mis-shipped beer (i.e. an IPA mistakenly shipped to the Malty Division address) is the sole responsibility of the entrant. Beer must be received at the designated address for the Division to which it belongs no later than October 10th, 2015. BrewUnited will not begin accepting shipments prior to September 26th, 2015, so please plan your brewing and shipping schedule appropriately. If, for any reason, you cannot comply with this shipping window, please contact the competition director as soon as possible. After judging is complete and the winners are announced, brewers will be notified via email to return to the website to access digital versions of their score sheets. This may take 2-3 weeks to complete. BJCP score sheets will be scanned into PDF format for download and printing. Any prize notifications will be sent ONLY to the registered email address for the entrant's BrewUnited account, so please be sure to use a valid email address for your account. BrewUnited reserves the right to update these rules at any time.